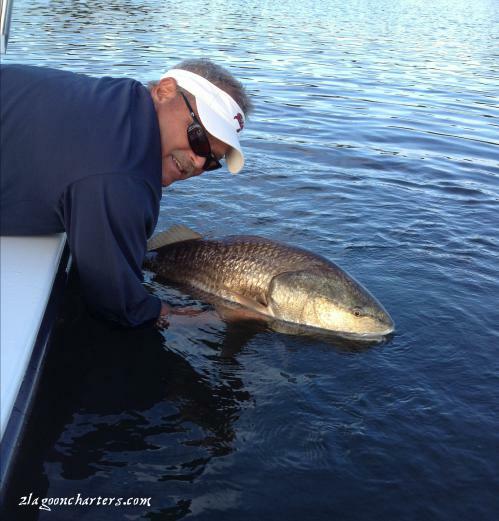 Captain Fred has fished the Indian River and Mosquito Lagoons for over 20 years! 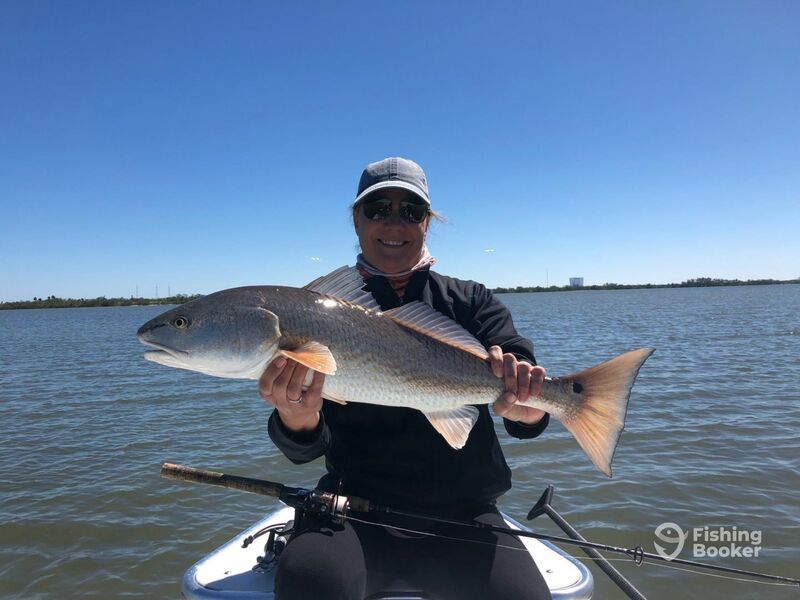 He enjoys putting anglers on a wide range of species in our shallow waters, from average size Reds, Trout, Black Drum, and Tarpon (seasonal) to fish over 40 lbs – all in 5' or less of water. 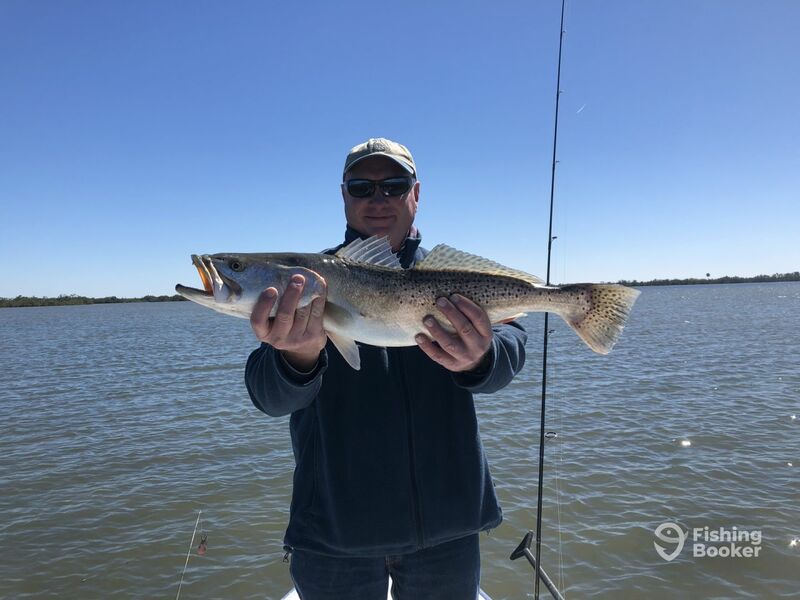 His number one objective is for everybody fishing with him to enjoy their day on the water, have tight lines and enjoy this awesome estuary! Captain Fred will work hard to make your trip memorable, he's laid back with a no pressure approach toward his anglers. All anglers are welcome from novice to experienced, especially kids! You'll find Captain Fred's skiff and fishing equipment well maintained and in good working order. Primarily use spinning reels: Penn Battles, Rods: 7' Fenwick or Custom Get Bit Rods. Use Spiderwire Invisi-braid line and Owner hooks. Fishing baits range from live, cut and artificial lures: jerk worms (flukes), Spoons and topwater plugs. 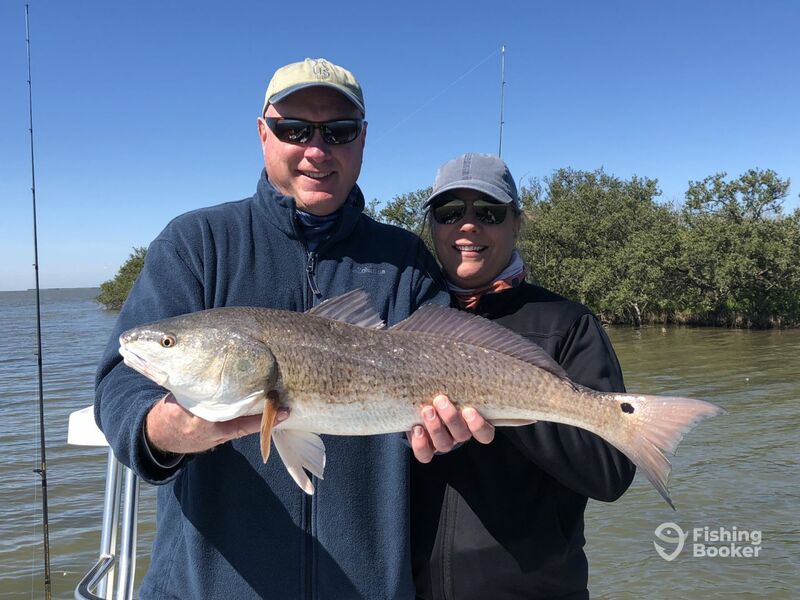 My sons and I had a great time fishing for redfish with Captain Fred. His Man o War skiff is a great boat, able to handle the choppy water we had on our 7 hr trip around the lagoon. 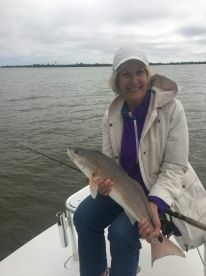 Captain Fred is very knowledgeable about the area, water and habits of Redfish. We each caught fish and loved the adventure, seeing alligators, learning about the lagoon and having close encounters with tail slapping manatees! My sons were so happy for the exciting day. Save some fish for us, Captain Fred as we’re looking forward another trip! 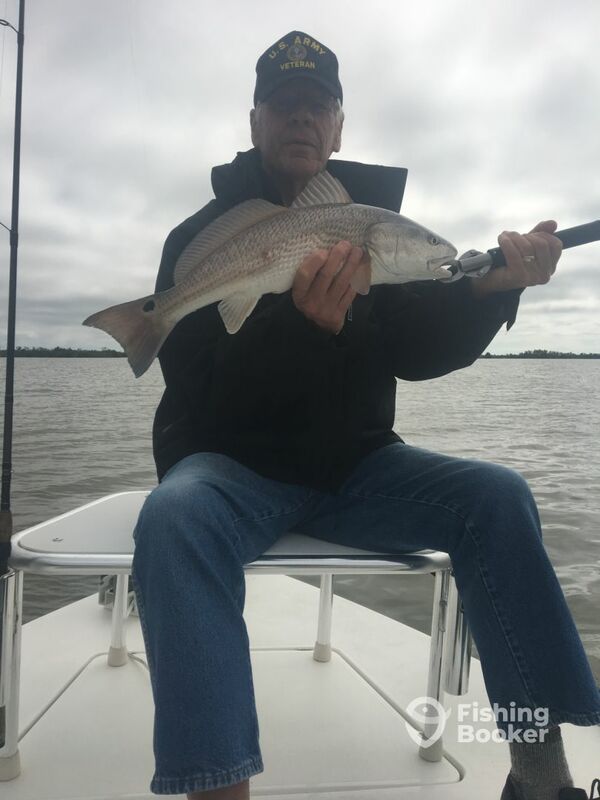 Gordon, it was great spending time on the water with you and your boys! 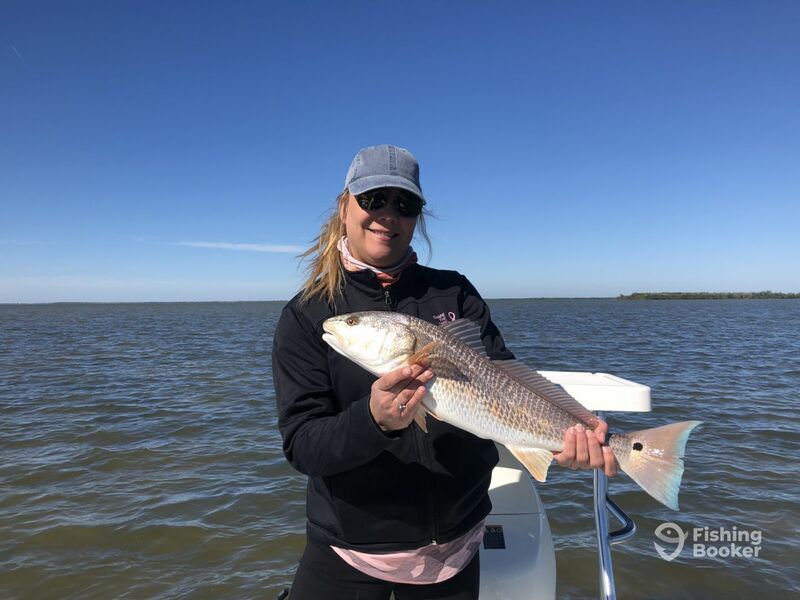 We had all odds against us, day after a cold front, bluebird skies and 20 to 25+ knot winds which made for a venturous ride back to the dock! . We still managed to tag some nice fish and you guys got to take home fish for tacos! Look forward to fishing with you all again! Fred found the fish and we had a great time catching the big ones. His communication on when and where to meet was excellent. 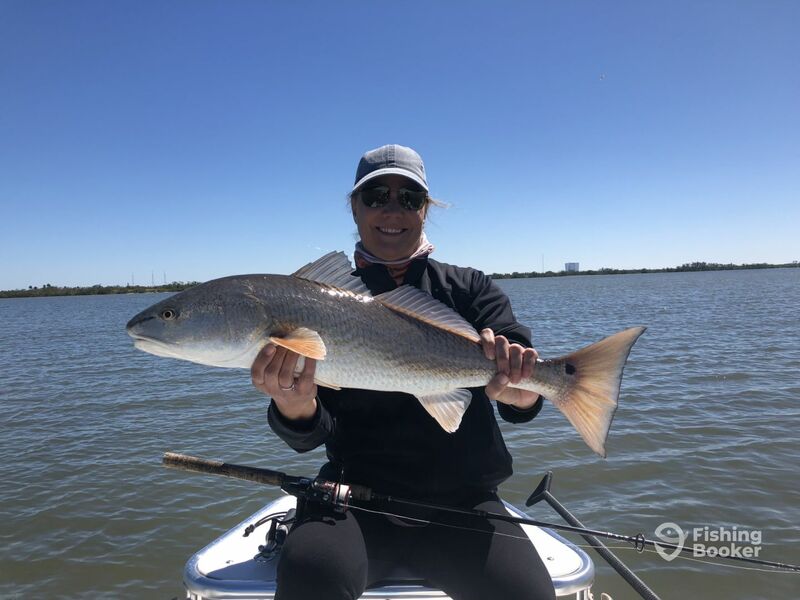 Use Fred when you want to fish in this part of Florida! Enjoyed spending the day on the Goon with Ray and Lynn. Windy, cool but found some fish even tailing Reds in 15+ knot winds! Fred was accomodating and knowledgable. Had a good experience; would recommend him…for sure!!! 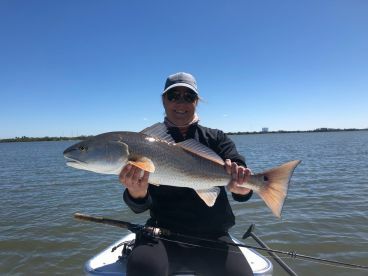 Great overall experience on the Mosquito Lagoon. The fish didn’t cooperate as much as we would have liked, but Capt. Fred did a great job putting us on the fish. 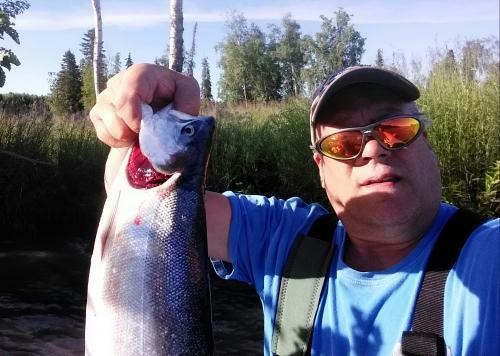 His boat and gear were all top notch and he is incredibly knowledgeable about the area and the fishery in particular. Will definitely book with him again on our next trip to the space coast. Yesterday we went out to Mosquito Bay with Frederick for Reds and Trout. He called the shots perfectly and put us on quality fish all day!! I’ve used a lot of guides over my tears, but my gf and I were pleased beyond expectations of Fred’‘s abilities, attention to detail and great attitude! ! We WILL book again! !! You guys made my job easy! It was a pleasure spending the day on the Lagoon with you both! Good Times!